Questions? Email or call 855-435-2746 to get your free flash mob consultation. Our flash mobs make an exciting and memorable addition to all kinds of events: marketing campaigns, product launches, grand openings, conferences, trade shows, association meetings, keynotes, cocktail hours, holiday parties, retirement gifts, executive retreats, board meetings, galas, banquets, awards ceremonies, advertising, brand ambassadors, client events and more! “A big thank you to the entire team for putting together an incredible 500 person flash mob in five cities! Pretty sure no one else would’ve turned this around with the same level of professionalism, expertise and enthusiasm! Thank you again for acting as true partners throughout this process and for putting together an incredible event.” – Saskia Sorrosa, VP Marketing, NATIONAL BASKETBALL ASSOCIATION. “THIS WAS EXACTLY THE TYPE OF CONSUMER INTERACTION AND EXPERIENCE WE STRIVE FOR. It was so memorable and hands down my favorite event to work on yet. Every detail was thought out and I couldn’t have asked for a better on-site partner. Ben mapped out the plaza perfectly, the costumes were great, and the impact was spectacular. It was truly exciting!! Thank you, Mike and Mona, for your help throughout this process. THIS WAS A DREAM TEAM!” – Remy Gordon, Event Marketing Planner, UNIVISION COMMUNICATIONS INC, booked a flash mob for the premiere of a new TV series. “From a disruptive segment in our exhibit hall, to a sit down banquet starter, BookAFlashMob.com’s team PROVIDED EXCEPTIONAL TALENT, CREATIVE DIRECTION AND MANAGED LOGISTICS WITH EASE. Both clients noted that this was received as one of the coolest highlights of the conferences. RECOMMENDED – A BIG YES. THESE GUYS DELIVER!” – Craig Nesbitt, Media Event Concepts, flash mobs for IBM PartnerWorld leadership conference and for COMMON PLATFORM semiconductor conference. “I wanted to thank the entire BookAFlashMob.com team for an INCREDIBLE experience. You went above and beyond to accommodate and surpass our vision for the performance. Your choreographer Melissa was a total rock star and spent countless hours preparing, practicing, and perfecting the dance. We couldn’t be happier with the results – thank you very much!” – Julia Fisher, Producer, DISNEY ABC TELEVISION GROUP, booked a flash mob for a national reality tv show. “IT WAS AWESOME. We’ve had GREAT FEEDBACK FROM OUR CLIENTS. Thank you again for all you did to make our event a success.” – Rebecca Stern, HYATT REGENCY CHICAGO, flash mob to mark the grand reopening of hotel’s renovated lobby. “EVERYONE HAD SO MUCH FUN and the flash mob performance WAS A HIT. The FLASH MOB TEAM WAS AMAZING to work with, especially Wendy. SHE WAS AWESOME. Thanks again for everything and WE LOOK FORWARD TO WORKING WITH YOU GUYS ON FUTURE EVENTS.” – Angie Guerra, Sr. Marketing Event Specialist, SYMANTEC, themed flash mob, performed by dancers along with Symantec staff and executives, for the launch of their new facility. “BookAFlashMob.com was a great partner to ADD SOME EXCITEMENT AND PERSONALITY TO OUR FRITO LAY MARKETING CONFERENCE. The dancers were energetic and on point with delivering an entertaining, uniquely disruptive and fun break in our agenda. It was the highlight of the day with multiple people getting up to dance along with the flash mob!” – Hana C. Golden, Associate Marketing Manager, PEPSI, marketing conference flash mob, created as an entertaining refresher for PepsiCo’s Frito Lay marketing conference. “The event was a huge success and everyone was very happy. The flash mob looked great and was a lot of fun. PLEASURE WORKING WITH YOU!” – Jenna Ebbink, Founder, FINGERPRINT COMMUNICATIONS, hired a celebrity reveal flash mob for marketing campaign launch for SEARS, featuring Derek Hough of Dancing with the Stars. “BookAFlashMob.com were great partners who seamlessly and professionally worked with our team to put all the elements together for one of our top clients. Their ability to work closely with our team to adapt to our client’s needs was exceptional. They met every request and delivered smart creative solutions along each step of the way.” – Bret Mactavish, Senior Account Director, LEADDOG MARKETING GROUP, hired a flash mob marketing production for a top client’s press announcement. “Thank you for everything! Great experience and the GROUP LOVED IT.” – Andre Leitao, Tradytec Travel, hired a company meeting flash mob for UNILEVER. “THE FLASH MOB WAS FANTASTIC! Jason did an amazing job. Everything was seamless and I AM VERY PLEASED.” – Marta Considine, FIELDGLASS, hired an employee appreciation flash mob for annual company picnic. “We wanted to do something exciting with a lot of energy to open up our North American Sales Meeting. We also wanted an element of surprise to mix things up a bit. We decided on an alternative venue and after speaking with a few people at BookAFlashMob.com, I KNEW WE HAD FOUND THE RIGHT PARTNERS. We explained the concept….high energy, dance, percussion like street performers and GOT EXACTLY WHAT WE WANTED AND MORE. Our theme was Band Together. Make Some Noise. We wanted a visual of banding together and the flash mob which “grew” helped us meet that objective. It was a great experience and I would HIGHLY RECOMMEND it to any group that wants to break free from the skits, videos, etc. that have become the norm with corporate events. THIS WAS UNIQUE AND EVERYONE COULD TELL.” – Monica Pinkernell, SPACELABS HEALTHCARE, commissioned a rhythmic flash mob for major North American Sales Meeting. “NYFF Events had the distinct pleasure of working with BookAFlashMob.com on a VERY SPECIAL MARKETING LAUNCH for one of their clients. SOMETHING CREATIVE WAS NEEDED TO INSPIRE AND MOTIVATE THE STAFF AS THE COMPANY WAS REBRANDING ITSELF. NYFF turned to Chris Elam & his VERY PROFESSIONAL STAFF at BookAFlashMob.com for a 6 month long rebranding campaign. NYFF’S CLIENT WAS UNBELIEVABLE SATISFIED saying that the final product “BROUGHT TEARS TO THEIR EYES”. NYFF is looking forward to working with Chris and his team in the very near future on other creative collaborations.” – Jonathan Glatt, NYFF EVENTS, hired a six-month long team-building flash mob contest marketing campaign, with staff performing at thirty-two retirement facilities in the tri-state area. “I wanted to extend a sincere THANK YOU to you and the dancers and choreographer! YOUR LEVEL OF PROFESSIONALISM IMPRESSED ME and it was such a pleasure working with you. Everyone enjoyed themselves at the event, and THE GUESTS WERE TALKING ABOUT THE FLASH MOB ALL NIGHT AND INTO THE NEXT DAY. We will definitely try to do this again… hopefully with a little more time to plan! I really can’t thank you enough for your help prior to the event and during the event. I look forward to working with you again.” – Karen Polito, STAR MANAGEMENT, booked a flash mob for an executive party. “IT WENT SUPER. Thanks for the great event.” – Brent Johnson, CLEAR ONE, ordered a themed flash mob to draw attention to their booth at a trade show. “We want to thank you for helping to make our company happy hour a great success! The look of surprise, then smiles from our employees when the flash mob performed was priceless. Thank you to you, and Alie and her crew, for putting a new level of fun into our event. It was a great night for SEI employees and we so appreciate the work done to make it a success.” – Caryn Taylor Lucia, Director, Corporate Events, SEI, hired a company happy hour flash mob. “Our flash mob was A HUGE SUCCESS! Not only for the audience but for the performers! Jenna was terrific and WE ALL HAD A GREAT TIME.” – Janice Larson, PARTNERS HEALTHCARE, for a company retirement party. “I would like to thank you for putting together an absolutely unbelievable flash mob for our local 46 apprenticeship / retirement party. The dancers brought such a high level of professionalism and energy that all of the guests are still raving about it. I can’t thank you enough for helping make our party something people will remember for years to come. I have been getting emails all week, and they reiterate the same message. The best party EVER!” – Terrence Moore, METAL LATHERS UNION, LOCAL 46, booked a flash mob for a retirement party. “That was THE BEST TIME EVER. It was major work getting people together and finding class locations. The choreographer was marvelous; she came through and WE ALL LOVE HER.” – Carol Zarek, USPS, for a publicity event. “It was fantastic!!! Kayley DID A REMARKABLE JOB ORGANIZING, CHOREOGRAPHING, AND EXECUTING THE MOB. THE STADIUM WENT WILD. 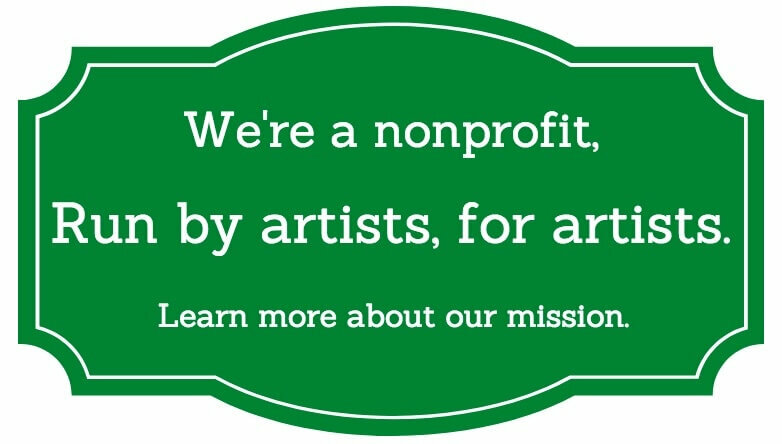 Much gratitude for your support and overall professionalism getting this going for us! It was SO much fun to have all our staff present, engaged and then to see the audience marvel at the surprise for the awareness of adoptions from our shelter!” – Erin Fontes, Volunteer & Special Programs Coordinator, HUMANE SOCIETY for Greater Savannah. “The flash mob was totally killer!” – Kathryn Gillan, Director of Events, LA SIRENA AT THE MARITIME HOTEL. “The event went very well. The group was professional and organized. All in all, a big hit! I want to thank you and Jodi for all your efforts.” – Gig Xifaras, Director of Operations, ASSOCIATED ENTERTAINMENT CONSULTANTS, flash mob for GENSLER ARCHITECTS holiday party. “BookAFlashMob.com gave our beloved CMO a fantastic birthday surprise. One moment he was busily working at his desk, and the next he was totally taken by surprise as he saw this crazy-dancing flash mob making its way through our office and celebrating his big day. He loved it–we all did. Thanks!” – Aubrey Audfray, ROCKET FUEL, surprise office flash mob for CMO at creative agency. “The entire team at BookAFlashMob.com were wonderful partners. We came to them with a very tight deadline and through their dedication and constant communication we were able to pull off a one of a kind event in just under six weeks! The onsite team was energetic and gave our event the extra boost of excitement we needed. We cannot thank them enough for the professionalism, creativity, and dedication they showed toward us and our clients! We have nothing but high praise for their entire team!” – Katherine Anderson, Account Manager, HMS WORLDWIDE, for flash mob marketing campaign for UTZ. “The flash mob was great! The participants were great people with lots of talent! Lisa was great to work with and wasn’t shy about coordinating with our DJ, emcee, etc. They even got one of the owners to dance!” – Janet Marlow, Human Resources, KINGSTON TECHNOLOGY. “Working with BookAFlashMob.com was fun and easy. The performance was a huge surprise and a great success. The dancers were terrific and KNEW HOW TO ENGAGE AN AUDIENCE. Loved it.” – David DiCaprio, KH INTERNATIONAL. “Thank you so much for making our clients 50th birthday party a memorable event! Our vision for our event was to be unique and fun, and really give our guests a few surprises throughout the evening. 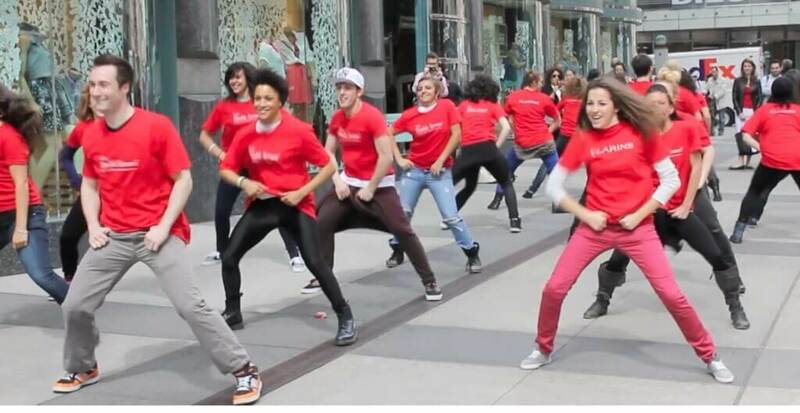 What better way to do that than to hire your flash mob dancers? It was an absolute hit and our guests were completely blown away!!! Once our guests had finished dinner, we were ready to move them into the second party room, and that’s when the surprise then kicked in. Our theme was 60s so the song mix was songs from the 60’s, but also included a few of our clients favorites, which made this special to him. The choreography was superb by Jermaine and he is extremely talented to work with! We can’t thank you enough. We have been complimented till this day how this was the best party our guests have been to all summer. If I could do it all again I definitely would! Thank you for starting off our dance party with the right energy. You guys are the best!” – Hillary Gutstein, Founder and Executive Producer, RUBY STONE PRODUCTIONS. “Thanks for helping make yesterday so wonderful – your guys did a heck of a job.” – Rory McEvoy, President, VISION ESTABLISHED, hired a Times Square flash mob production for COLOMBIAN TOURISM BOARD. “I booked BookAFlashMob.com for a big corporate party of 600 people and I have to say that the enthusiasm of the group was over 110 percent, it was great working with them and the crowd had no idea that this was coming. This is a great way to surprise a small or large group of people. We will definitely hire them again in the near future!” – Rick Mangram, SPECIAL OCCASION EVENTS, INC.
“From the start to the end, BookAFlashMob.com made our first large grassroots event a huge success! The team was incredible to work with and the dancers were flawless and energetic and were able to get the crowd excited about our brand. We’d do it again in a heartbeat!” – Alyssa Ali, ARLINGTON PARK INTERNATIONAL. “As a speaker, talk show host and event coordinator, I am always looking for ways to bring excitement and fun to events. Many of my clients are in the corporate arena. I had a big event that I was coordinating this November. I was so excited about the Flash Mob idea, however, it was a tough sell to my client. Last minute I got the go ahead and I need something done fast. BookAFlashMob.com and their team of coordinators and talent performed far beyond expectation! We quickly agreed on a great song that fit with the conference theme, the dance was choreographed and within days I had an easy to follow video that was used to TEACH SOME OF THE TOP EXECUTIVES from the company. From the setup of having dancers in the conference audience to the incredible execution of the dance and all its participants; WE ARE ALL STILL SAYING WOW, WOW, WOW. The flash mob added such a great element of surprise, fun and over the top energy. Jason and your team-with such short notice, you took such an incredible amount of commitment and care with my event..thank you!” – KANDEE G, independent talk show host, speaker, event coordinator and publisher.